It's 1987 in apartheid divided South Africa and 19-year-old Leon, a white death row warder, is on trial for his own life after the seemingly unprovoked gunning down of seven black men. When high-powered lawyer John Weber attempts to defend him, Leon remains taciturn. 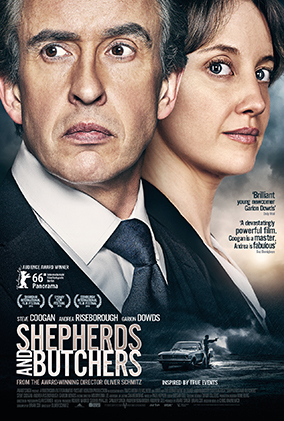 In a riveting performance, Weber ("Philomena" star Steve Coogan) painstakingly builds his case, provoking Leon (poignantly played by newcomer Gariod Dowds) to relive the darkest hours of the previous two years when, with no training, he cared for the condemned and escorted them to the gallows. Oliver Schmitz grew up and studied fine arts in Cape Town, at the same time joining a collective that ran a nightclub that successfully beat apartheid segregation laws and nurtured a generation of creative and militant youth. In the 1980s he moved between Germany and South Africa, making his first feature, "Mapantsula", in 1987. It is the prominent anti-apartheid film of the era and Schmitz wrote a fake script to elude police and censors. Schmitz has made five movies, four of which have screened in Un Certain Regard in Cannes. All but one have focused on South African subject matter. "Life, Above All" made it onto the Oscars shortlist for Best Foreign Film and won the jury prize at the Dubai International Film Festival, also winning the Francois Chalais award at Cannes, and the audience award and a Golden Alhambra nomination at the 2011 Granada Film Festival.